CYO Athletics is sports done a different way— as one community. Individuals and teams strive for greatness in accordance with Gospel values. To develop the whole person, we teach success is not measured solely by the scoreboard, but by the effort, team play, and fun of the experience. 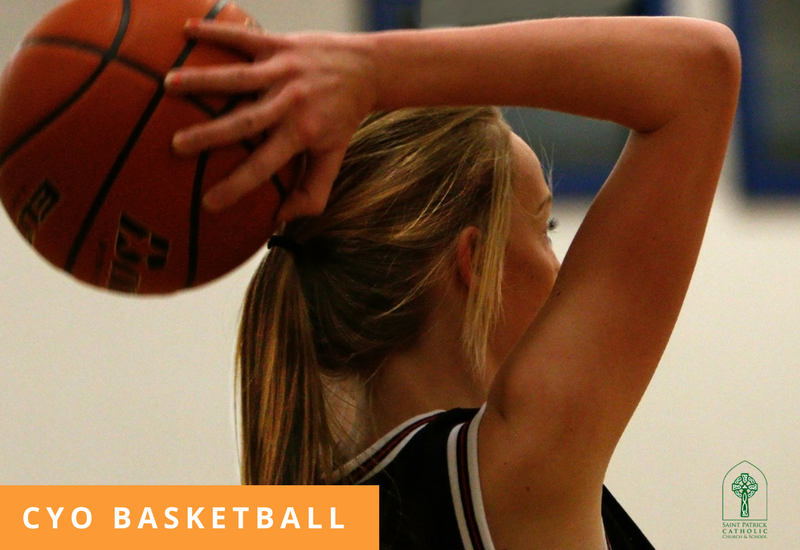 Saint Patrick Catholic Church & School offers three of the CYO Athletics programs for grade school youth— Cross Country (K-8), Basketball (4-8), Volleyball (4-8). Register thorough the app Team Sideline. This app is also used to communicate practice schedules, game times and more. 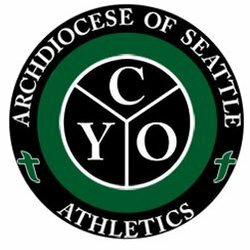 If teams are formed in other CYO sports— Softball, Baseball or Soccer, travel to Seattle would be required to compete. Pierce County CYO does not currently offer these sports, but they are offered in Snohomish-King County. Track is offered at All Saints Catholic School and St. Vincent De Paul School. We can participate in their programs and/or develop our own teams. Please contact our athletic director for more information. For more information about a specific sport, click on the folders below. To get the play by play, upcoming meets and games, registration announcements check out our news article on CYO Sports. The season runs late August through mid-October. All athletes must be registered to participate. If you are feeling called to help as an assistant coach, register yourself too. Check out the video interview with Dr. Gary FitzGerald and learn why students choose to participate in CYO Cross Country. Registration opens in late September or early October. Practice begins mid-October and runs through late January. Games start in November and run through late January. If a team makes the playoffs in Seattle, they may play until mid-February. The season runs February through April. Registration opens in January. Practice starts in February and games begin in March.